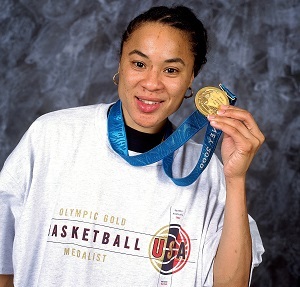 Dawn Staley was born and raised in Philadelphia. She is an Olympic gold medalist and has played for both the American Basketball League and the WNBA. Currently the head coach of the women's South Carolina Gamecocks, Ms. Staley just led them to their first NCAA Championship title. Ms. Staley has won multiple awards throughout the sport of basketball, including the Honda Sports Award for basketball and the WBCA player of the year in back-to-back years. In 2008, she was elected to the Virginia Sports Hall of Fame, and in 2015 she was named the USA Basketball Co-National Coach of the Year. 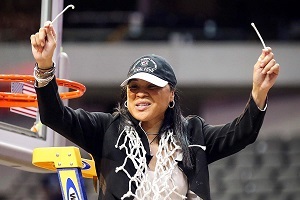 In addition to coaching, Ms. Staley currently heads the Dawn Staley Foundation, which sponsors an after-school program for middle school children at the Hank Gathers Recreation Center. Check out Philly.com's recent write-up on the NCAA Championship win!